The Kencho-ji Temple is the oldest Zen training monastery in Japan, and ranks first out of five temples that are called “Kamakura’s Five Mountain Zen Temples.” This temple was built in 1253, which was the fifth year of the Kencho era, thus the name became Kencho-ji. The Kencho-ji complex originally consisted of seven main buildings and 49 subtemples. It is hard to imagine how gigantic and incredible the property was back at this time. Unfortunately, most of these structures were destroyed by fires that occurred I the 14th and 15th centuries. Currently, the complex is made up of 10 main buildings and 10 subtemples. The complex begins with two gates- the Somon (central gate) and the Sanmon (main gate). The Somon was moved to the Kencho-ji Temple from the Hanju Sanmai-in Temple in Kyoto. The gate is very famous as it is used as a storage place for the Imperial family tablets. The Sanmon was built by Bansetsu, who was the chief priest of Kencho-ji, in 1754. The project was funded by donations from people of the Kanto region of Japan. 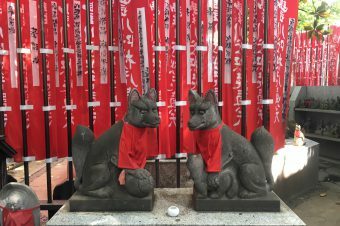 The gate is also nicknamed the “Tanuki Sanmon” because of a legend that says a tanuki promoted to build the gate by transforming himself into a monk. 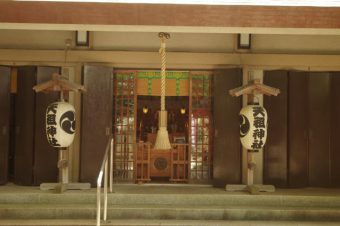 Like most temples, the Kencho-ji also has a bonsho (temple bell). This particular bonsho was cast in 1255 and bears an inscription on it by the founder, Daikaku Zenji. Due to this fact, the bell has since been designated by the government of Japan as being a National Treasure. The next buildings are the Butsuden and the Karamon . Both of these buildings were originally located at the Zojo-ji Temple in Tokyo. However, in 1647, they were both dedicated piece-by-piece to Kencho-ji. The Hatto (Dharma Hall) is the largest wooden Buddhist structure in Eastern Japan. 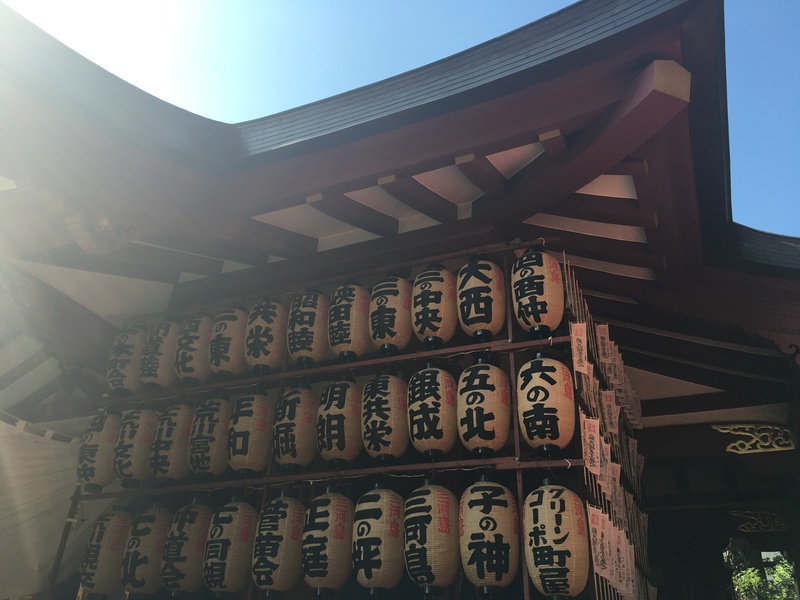 The present building dates was re-built on1814 and displays a painting on its ceiling called “Unryu-zu” which was made in honor of the 750th anniversary of Kencho-ji. This structure holds all of the major public ceremonies, however all of events are held at this building. Just like the Somon, the Hojo was moved to Kencho-ji from the Hanju Sanmai-in Temple in Kyoto. 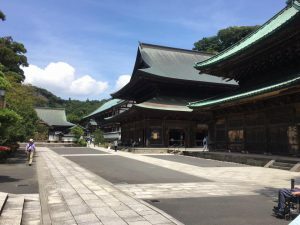 The image of Shaka Nyorai (Shakyamuni Buddha) is enshrined in this building and the building itself is often called the Ryuo-den (Dragon King Hall). Past the garden is the Hanso-bo shrine. This exhibits the connection between temples and shrines, as the shrine is the guardian of Kencho-ji. While Haso-bo-shrine was originally enshrined at the Hoko-ji Temple in Shizuoka, it was moved to Kencho-ji in 1890 per the request of Zen master Ozora Kando. Finally, there is the monastery behind a bell tower, which is strictly closed to the public. This monastery is used for the intensive training of monks in Zen meditation. The monastery consists of the Zendo (Meditation Hall), the Kaisando (Founder’s Hall), Hondo(main building), and so on. The reason I traveled to Kencho-ji Temple was to experience Rinzai Zazen. “Zazen” is Buddhist sitting meditation. When it comes to zazen, there are two different types- Soto and Rinzai. 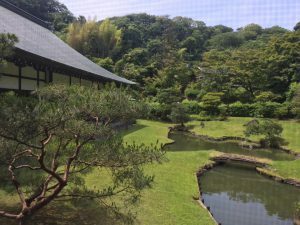 The Kencho-ji Temple was the perfect place to experience Rinzai Zazen for the first time because it was the first temple in Japan dedicated solely to the Rinzai Zen practice. 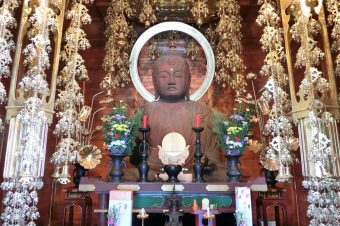 The temple is also the head of the Kencho-ji branch of Rinzai Zen Buddhism, of which there are four hundred affiliated temples! When I practiced the zazen, we used the Hojo. Everyone was asked to remove their socks and wear loose-fitting clothing. The monks explained in English how to sit, breathe, and keep our backs straight. We went through several sessions of 15 minutes at a time. At one point, we even tried walking in meditation. I found the zazen to be far more difficult than I had expected. I initially thought we would be closing out eyes, however they asked for us to keep them open and steady. Having my eyes open and focusing on my posture made it very difficult for me to relax. I gained a new respect for those who have mastered the art. After the zazen, everyone who was in the class grouped together for tea and to discuss what we thought. Many of the people there had never tried zazen before. It was interesting to hear how everyone had different opinions and thoughts about the experience. 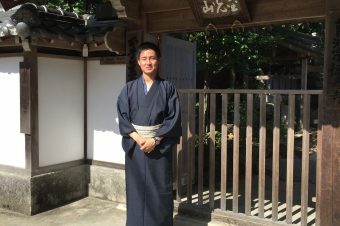 It was discussed how zazen is drastically unique in other countries, such as Thailand or China, where the culture is different. It was explained that in Thailand, zazen is very casual and people practice it however they desire. In Japan, it is the exact opposite, with set times and strict rules. We determined that it has a great deal to do with each country’s culture and history. Many traditional Japanese food items trace their origins to Buddhism. 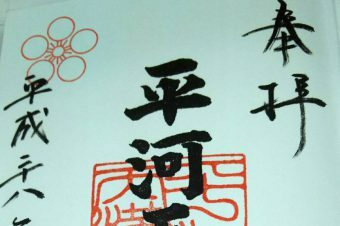 For example, the ubiquitous takuan, a pickled, white Oriental radish, is named after its inventor Takuan Soho, a Buddhist priest from the 16th and 17th centuries. Kencho-ji is famed for its kenchinjiru soup. Consisting primarily of root vegetables and tofu, kenchijiru is distinguished by the fact the tofu is not cut into cubes as is usual in Japanese food items, but crumbled instead. The reason for this is quite simple. Legend has it that “way back when,” one of the Kencho-ji temple novices was preparing the soup but dropped the cut tofu while transferring it to the soup pan. He was about to throw the tofu away, when the priest overseeing food preparation said it was a waste of good food, and placed the crumbled food into the soup pan. This then became the preferred way to prepare the soup. Certainly safer, anyway, as the traditional way to cut tofu was to place it on the palm of one’s hand and push a sharp knife vertically through it (Keep in mind- tofu didn’t come in nice plastic packaging until the late 1960’s, but instead, was usually transferred by the tofu seller into a water filled pan, which the customer would bring themselves). Important safety notice: Many stores outside Kencho-ji offer kenchinjiru soup, but most of these are modern variants, which utilize some sort of animal protein in the recipe. It is tasty, perhaps, but not authentic. Vegetarians should notassume that just because a restaurant dish is labeled kenchinjiru, that it is actually vegan. The Kencho-ji Temple was absolutely beautiful and I really enjoyed traveling to Kamakura. 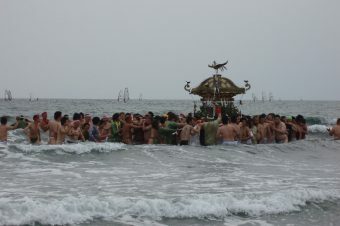 Kamakura was a very small, charming town and the smell of the fresh air was a nice change from Tokyo. 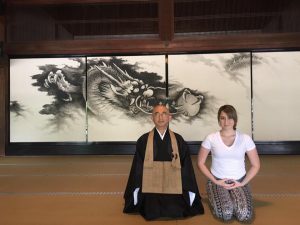 I feel very fortunate to have had this experience and to have been able to attempt zazen at such an important temple. I would definitely suggest to travelers to visit Kencho-ji, eat kenchinjiru soup, and try the zazen if they are able to.